J-Mac International manufactures high quality replacement spindles for AYP products. AYP 121705X is the primary spindle on 44″ cut models and the right-hand spindle on 44″ decks. 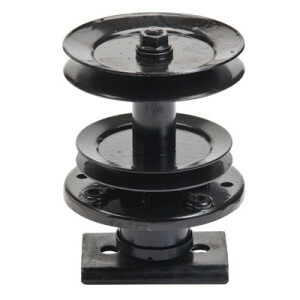 Spindle assembly for AYP 121705X and AYP 106040X.